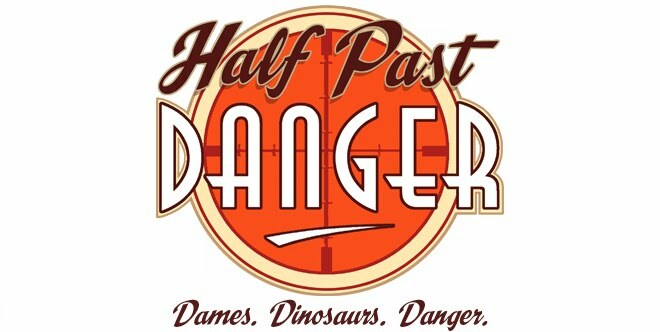 Half Past Danger: Damen. Draufganger. Dinosaurier. 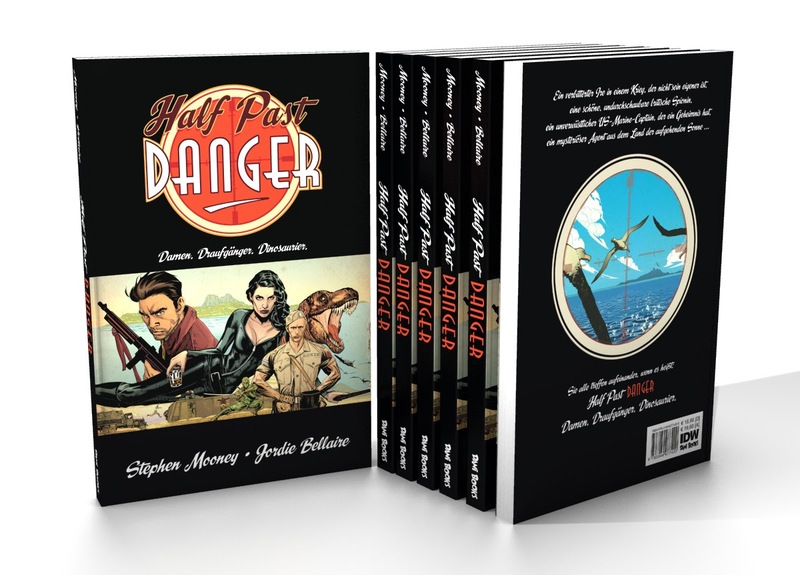 The German edition of the Half Past Danger collection arrives in stores this month! Couldn't be more excited about this; my first foreign edition! It has all of the same content as the US hardcover edition, but in softcover and minus a few swastikas. Available to order here. There will be a very limited edition hardcover edition available as a show exclusive at the huge Erlangen comic festival in Germany later this month. I'll also be appearing at the show to sign copies and make a fool of myself, in that order. 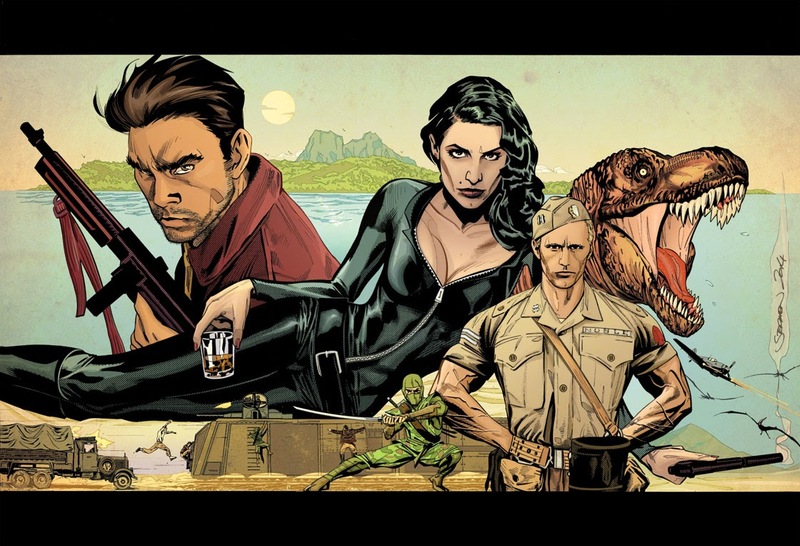 I got to design and draw an entirely new cover for this sucker, and it was great fun to revisit all the characters, whom I already miss dearly and can't wait to get back to for HPD 2.